I spent the first four years of my teaching career in urban public schools with rigorous academic schedules, high stakes testing, and extremely limited outdoor time. I loved my job and my students, but I grew frustrated by my first and second graders’ struggles to sit still, use their imaginations, and be kind to each other, despite my best efforts to support them in these areas. 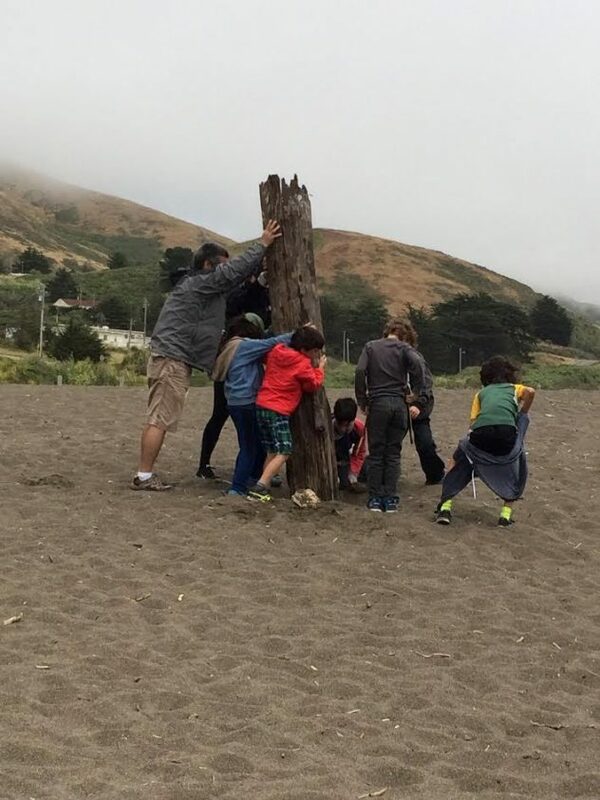 I realized that a crucial piece was missing from their school day and mine: connection to nature. I moved to a small independent school in San Francisco, and my first order of business was to add Forest Fridays to our weekly schedule. Early childhood educators have long known the importance of play for child development, and they are increasingly embracing outdoor play as a crucial element of preschool and kindergarten programs. The benefits of nature play don’t stop when children reach school age, however. The need to connect with nature continues throughout one’s life. The National Trust found that children today spend half as much time outside as their parents did, and that outdoor time is being replaced with screen time in the form of TV, computers, and phones. The problem is so dire that Richard Louv coined the term Nature Deficit Disorder, defined as the physical, mental, and social costs of decreased time spent in nature, particularly for children. Spending time in nature has proven health benefits for children and adults alike. Being outdoors reduces stress and anxiety, improves concentration, decreases nearsightedness, and is linked to lower rates of heart disease and other chronic illnesses. 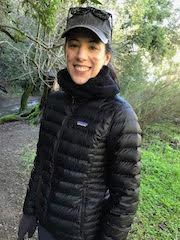 The health benefits of nature are so compelling that UCSF Benioff Children’s Hospital in Oakland, CA has partnered with the East Bay Regional Parks District to form a Center for Nature and Health and now regularly writes prescriptions for nature. The brain also gets a big boost from exposure to fresh air, plants, and animals. Among the academic benefits are improved creativity, language development, and problem solving. Perhaps most significant are the social emotional benefits of increased exposure to nature. Natural areas are the perfect setting for the imaginative play that is so crucial to childhood. 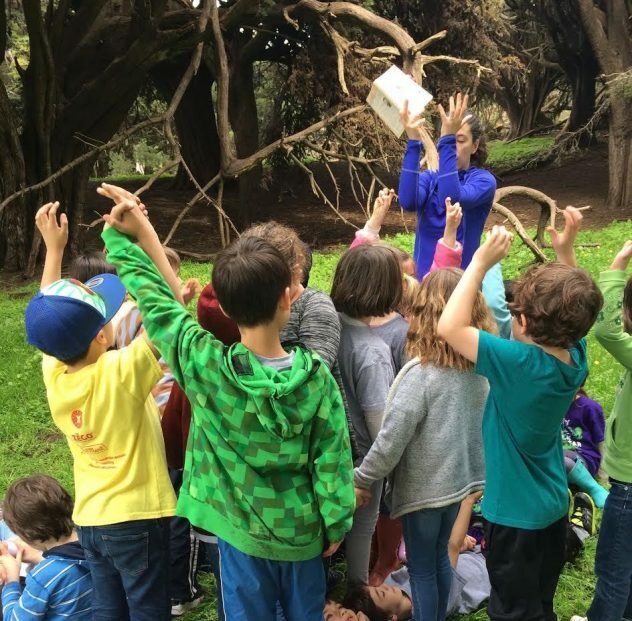 Nature connects us to each other and to the world, and children who regularly spend time outside show more empathy, as well as increased confidence, social skills, and collaboration. I have yet to meet a parent who does not want their child to be a good and kind person, and simply going outside is a free, accessible, and enjoyable way to achieve this goal. Forest Fridays are a dedicated time to connect with, learn, and play in nature. Every Friday from 11:30-2:45, rain, shine, or fog, my first graders and I (plus my co-teacher and a few parent volunteers) head to the park. Forest Fridays are inspired by the forest schools of Europe that originally started in Scandinavia and have since spread throughout the UK and other European countries, and increasingly to some American early childhood settings as well. Our weekly nature time is guided by Jon Young‘s Coyote Mentoring model and follows the Natural Cycle (a model for how energies move through a day, a week, a year, a lifetime). A typical day might include a quick game of Coyote Chases Rabbit, a lesson on identifying animal tracks, or a challenge to build a waterproof fort using just natural materials. 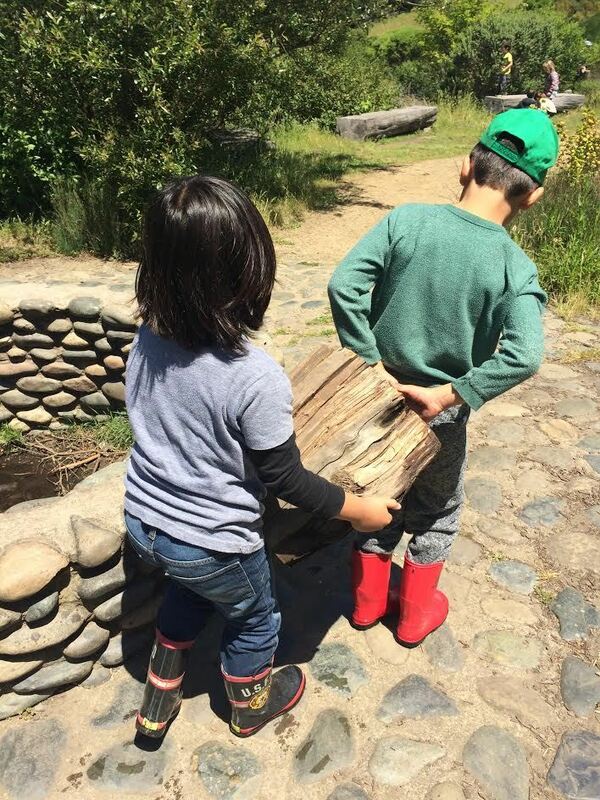 It is not uncommon to see children crawling on their hands and knees as they imagine themselves to be gophers, or working with a classmate to build a dam in the creek. I have now written a year-long curriculum of 20 lessons that cover topics ranging from mapping to bird language to Native American hand games. The lessons were written for first and second graders but can easily be adapted up or down for other age groups. 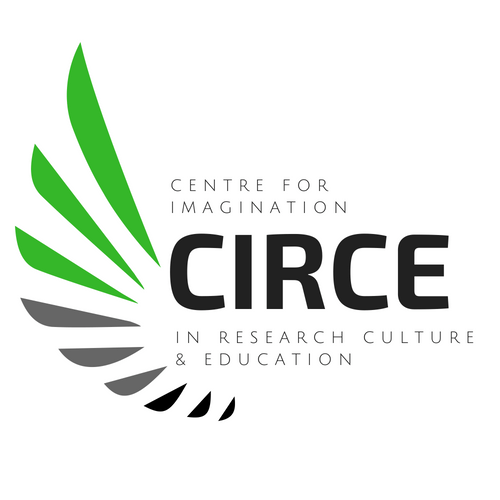 In the style of the Natural Cycle, each lesson begins in the North-East with an opening routine, then moves to the East for an inspiring story or song, followed by the South-East for a game or activity to activate the senses. Next we head to the South for our focus lesson about whatever topic we are currently exploring, then to the South-West to take a break. This free exploration and imaginative play represents the bulk of our time in nature. In the West we gather and share our stories of the day, then head to the North-West for reflection. Finally, we end in the North to integrate all we have learned by journaling and creating a new page for our Floor Book. How do I do Forest Fridays? Step 1: Find an outdoor home base. You don’t need a full-fledged forest—any green space, even if it’s small, will work. Check out these four green space alternatives. Step 2: Get your school’s administration and students’ families on board. You’ll want to do your homework first and show them you’ve thought through all the benefits and risks and have clear plans and procedures in place to ensure a safe and enjoyable experience for all. If you encounter resistance, try these 5 ways to get parent buy-in. Step 3: Get outside. Start small if you need to, but whatever you do, don’t hesitate! Your kids and your well-being will thank you. (Click here for more tips/resources to make it easy to get outside). Learn more about Natalie Crowley and her work on her website.